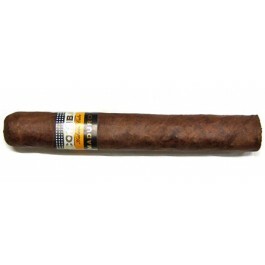 The Cohiba Maduro 5 Genios is one of the best Habanos, ideal for seasoned smokers, of 52 ring gauge, 5.5” (140mm) long and comes in a box of 10 cigars. Its aged dark brown wrapper is very elegant, the black lacquered wooden box is the best you can get from Cuba in terms of packaging. And the flavors packed in this Robusto Extra are exquisite. Lots of cream, woodsy flavors, nuttiness and spices, among others. A must-try for all cigar aficionados.